This article was originally published in the August issue of the Shout NZ. There are few styles of beer that conjure up more romantic imagery than that broad, yet distinctive, class of beer known as Trappist Ale. As you sip one these bold, complex beers – sometimes fruity, sometimes spicy; ranging from blonde, to amber, to brown – It’s hard not to imagine a quaint team of seventeenth century monks quietly brewing away in some dark medieval monastery, content in doing God’s work and knowing full-well just how lucky they are. While Monastic brew houses have existed since the Middle Ages, it wasn’t until the mid-seventeenth century that – by the sound of it – a rather up-tight Abbot from the Cistercian monastery of La Trappe, decided that his pious brethren were in fact too liberal, and as such, he introduced a number of austere new rules in the abbey and the “Strict Observance” (aka, “the Trappist) was born. While many of these rules have relaxed over the centuries, one tenant that has fortuitously endured is that “these monasteries shall be self-supporting”. While Trappist monks support themselves by manufacturing and selling a wide range of products including, but in no way limited to, chocolate, cheese, fruitcakes, mushrooms, dietary supplements, and shampoo, it is their delicious beer for which they are perhaps best known. Today there are eleven active commercial Trappist breweries. 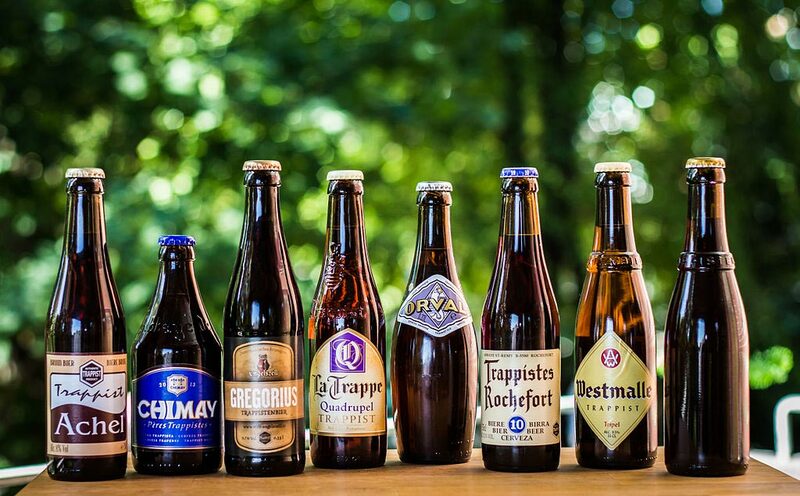 While there are Trappist breweries located in the Netherlands, Austria, Italy, and the United States, it is the six Belgian Trappist Breweries (Orval, Chimay, Westvleteren, Rochefort, Westmalle and Achel) which garnish the majority of attention and acclaim. In 1997 the International Trappist Association was formed in an effort to prevent non-Trappist brewers from abusing the Trappist name. Accordingly, a special Trappist Logo was created for products that adhere to a specific set of production principles that are unique to authentic Trappist products. In instances when a Trappist-style beer is produced by a non-affiliated or secular brewery, the beer is referred to as an “Abbey Ale”. While it’s tempting to imagine a team of tunic-wearing monk’s gathered around the mash tun to craft us an ambrosial Belgian Ale, the reality of most Trappist Ale production is quite different than one might typically expect. Upon entering the average modern Trappist brewery, most beer enthusiasts are somewhat crestfallen to find a thoroughly modern brewing facility; the monk’s and bubbling copper cauldrons replaced by computerized state-of-the-art brewing equipment and a largely secular staff. Sure, the beer is technically brewed within the walls of a monastery. It is technically “brewed or supervised” by monks. And all profits do technically go towards the living expenses of the monks and the maintenance of the buildings. But make no mistake about it, these Trappist beers are products being produced by modern commercial breweries, the same as any other beer. Moreover, while many of these Trappist breweries have existed (and brewed beer) for centuries, the commercial production history of said beer is often fragmented, or an altogether modern invention. The Abbaye Notre-Dame d’Orval (for example), was established in the 12th century and there is little question that beer was brewed there from the beginning. However, the abbey was destroyed by fire on two different occasions over the centuries, and it wasn’t until 1931 that the modern commercial brewery was opened. As is the case with most commercial breweries that have been brewing beer for any length of time, the recipes for what we have come to know as modern Trappist Ales have been tweaked over the years to keep up with changing tastes and in most cases are believed to be quite different to what Monks would have brewed centuries ago. None of this is intended to cast aspersions upon the name or reputation of Trappist Ale of course, it’s simply to point out that when you sip a Trappist Ale – while you are drinking a very good beer – you are not drinking an ancient beer. While the Trappist Ales of today may not be the same concoctions that the Cistercian Monks of centuries past would have enjoyed, they have evolved into what modern beer drinkers have come to recognize and categorize as a handful of distinctly Trappist beer styles. 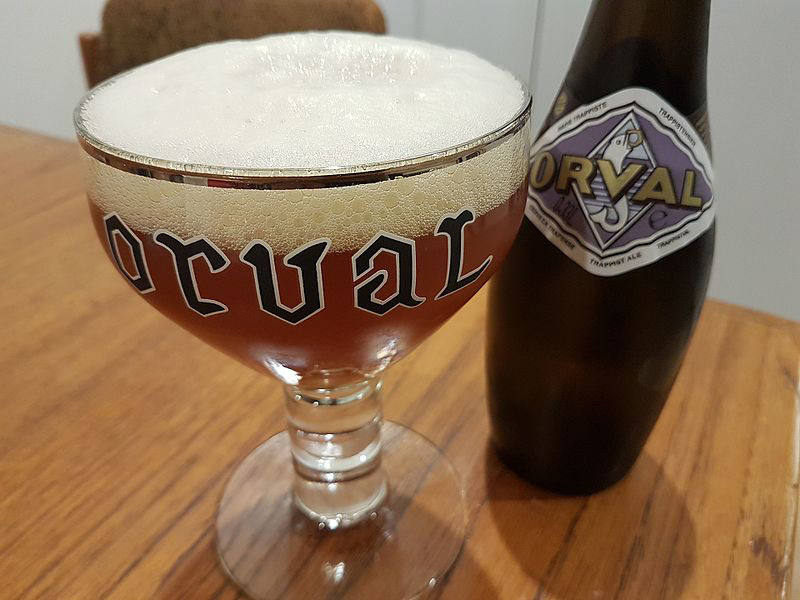 Because these beers are largely defined by the simple fact that they are brewed by Trappist Breweries, they tend to vary within each sub-category, both in flavour, ingredients, and brewing procedure. Some form of sugar (rock, syrup, granular) of varying colours is often added to the beers to add alcohol while preserving a relatively dry finish. But if there is one signature ingredient used in these flavourful beers, it is unquestionably the yeast. A typical Trappist yeast strain imparts a good deal of esters and (to a lesser extent) spicy phenolic notes into the brew. However, these fruity and spicy notes tend not to be overpowering and instead meld together with the malt flavours to create a complex, and highly drinkable beer. Enkel (Single): while the distinction is somewhat debatable, Enkel is sometimes referred to as Patersbier. Literally translated as “Fathers Beer”. It is the lightest (in ABV) of the Trappist Ales and for the most part it has always been a beer brewed by the monks, for the monks. As such it is not commonly sold commercially. Interpretations of the style can vary a lot from brewery to brewery but typically it is a dry, pale beer, which comes in below 5% ABV. There are also a few modern interpretations of the Enkel that are sold commercially which tend to be hoppier and more tailored to modern tastes, such as Westvleteran Blond. Dubbel (Double): The Trappist Dubbel is essentially a strong Belgian brown ale. Typically ranging between 6% and 7.5% ABV, Dubbels are rich, malty, and complex ales in which notes of Raisins and dark fruit commonly mingle with varying levels of clove, pepper, and spice. Malt forward and sometimes perceived as slightly sweet (due to moderately low hop bitterness levels), the key to a great Dubbel is in a counterintuitively dry finish. While the Dubbel was first brewed in the 1800s in the Westmalle Abbey, the style didn’t ultimately catch on until after World War Two. Though, of all the Trappist styles, it is the Dubbel that is said to most resemble the beers that Monk’s would have brewed many centuries ago. Tripel (Triple): Originally introduced by the Westmalle brewery in the mid nineteen hundreds, this strong, spicy, aromatic pale ale has become a favourite of many Trappist Ale fans. For quite a strong beer (7.5% – 9.5% ABV) the light alcohol notes and smooth malt character combine to form a dangerously drinkable beer that can really sneak up on you. Quadrupel (Quadruple, aka Belgian Dark Strong): The “Quad” as it’s often referred to, is a Monster of a beer. Ranging between 8% – 12% ABV, this dark, complex beer is perhaps the most coveted of Trappist and Abbey ales. Typically brewed with a combination of specialty malts, dark candy sugar, and a low to moderate amount of hop bitterness, it’s common to find all manner of flavours and aromas in each respective brewery’s interpretations of the style; including, bread, toast, caramel, raisin, plum, prune, cherry, fig, pepper, vanilla, rose, and many more. While some Trappist and secular breweries reserve the brewing of this style for seasonal or holiday releases, others have added them to their regular line-up. Westvleteren 12 (Westvleteren’s version of a Quadrupel) has been repeatedly voted as the “World’s Best Beer”. This – combined with the fact that Westvleteren is brewed with much more direct monastic involvement (and in significantly smaller quantities) than other Trappist breweries – has led to a cultish fanaticism over the “Westy 12”. In fact, the Westvleteren 12 is so sought after, that at one time this rare beer sold for $100 per tiny 335ml bottle at Auckland’s “Occidental Belgian Beer Café”. Fortunately, for us here in New Zealand, Trappist Beer is relatively easy to get your hands on. While it’s certainly not a style that you are likely to pick up down at your local Four Square, they can commonly be found at specialty bottle shops and online retailers such as Cult Beer Store and the Beer Library. And while purists may not be willing to except anything without the authentic Trappist Logo printed on it’s label, there are a number of New Zealand breweries making Abbey-Style (and Abbey-inspired) ales such as Craftwork (produces two Tripels and a Quad), Moa (produces the widely available “St Josheps Tripel”, and Tuatara (produces a Dubbel and a Tripel), as well as a growing number of others. Trappist Ale is certainly a beer apart. These complex, bold beers are rich with history, sociological and even religious significance, and most importantly . . .Flavour. And with a final month of winter still ahead, a Dubbel, Tripel, and especially the Belgian Dark Strong, makes for the perfect fireside companion. Because, while it may be a stretch to say that Trappist Ale is “proof that God loves us”, it’s certainly an indication that – at the very least – he has great taste in beer.